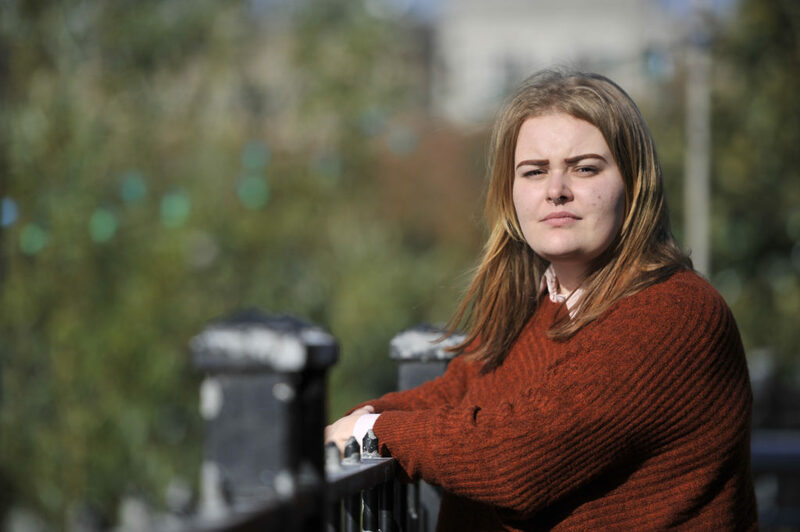 At the beginning of 2018, Chelsea was homeless, struggling on universal credit and suffering from depression. At just 20 years old, she felt lost. She had left home at the beginning of her sixth year of high school because of arguments with her mum. After moving in with her partner Vivien, she couldn’t afford the travel costs from the east end of Glasgow to the south side where her school was, so she had to leave school and find a job. Working unstable hours on a zero-hours contract, Chelsea was earning £5.60 an hour and barely getting by. Chelsea then found a job in a call centre, however she was struggling with depression and anxiety and her role didn’t work out. Feeling helpless, she tried moving around and living with her dad, but never felt at home wherever she was. She didn’t know how to go on. However, after the job centre referred her onto our Cashback Connections programme, everything changed. Thanks to Cashback Connections, Chelsea secured a job with a national charity. She also finally has a place to call home. Chelsea is also back in contact with her mum. After the death of Chelsea’s grandfather, she wanted to support her mum – they’ve now put everything behind them and are close again. Things are looking up for Chelsea – and we couldn’t be prouder to have been a part of her journey.